The family originates from occidental Georgia in the Caucasus, a region called Samurzakano on the border of Mingrelia and Abkhasia. In the 9th century the first known ancestor, Bero Tchkotoua, founded a monastery in Natsimeri and built the family castle in Saberio, the land of the family. They have since been feudal Princes of Saberio. Germain Tchkotoua was Prince Bishop of Bedia under the reign of Bagrat III (978 – 1014). The Tchkotouas were many times appointed Regents of the Province of Samurzakano by the Georgian Kings, notably in the 14th, 15th and 18th centuries. The Russian Empire annexed Georgia in 1801 and thereafter Georgian noble families were included in the Russian Nobility Register. Georgia gained its independence during the revolution. Prince Nicolas Tchkotoua, Bailiff Grand Cross of Honour and Devotion of the Order of Malta, was Ambassador of the Sovereign Order of the Knights of Malta and he set up diplomatic missions in Peru, Chile, Costa Rica and Spain. 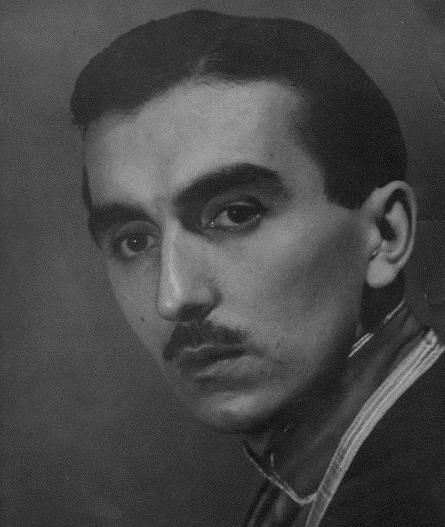 Following the arrival of the Bolsheviks in 1921, Prince Nicolas Tchkotoua, was evacuated as a young child to Geneva, Switzerland via Constantinople, for his safety. On reaching Geneva, a distant cousin, Princess Amoulakvari, known to him as Tante Veronika, who had joined the Red Cross, took the young prince under her wing. After finishing his studies in Europe he moved to the United States, settling finally in Los Angeles where he met his future wife, Carol Carpenter Marmon, the only daughter of Howard Carpenter Marmon* and Florence Moore Myers. Prince Nicolas married Carol in 1934 in Ensenada, Mexico. They had six children. Prince and Princess Tchkotoua and their children moved extensively; their main residences being in California and latterly Lausanne, Switzerland. Carol died in 1966 with Nicolas surviving her until 1984. They are both buried in Compesière, Geneva. Prince Nicolas wrote and published TIMELESS in 1949. Timeless was the first ever internationally published novel written by a Georgian in English. *Howard Carpenter Marmon was an automotive engineer, airplane engine designer and mining entrepreneur. Born into the great Nordyke and Marmon Company in 1876 he became chief engineer at aged 23 and during his career was responsible for a number of pioneering innovations.. He was a very successful man who is particularly remembered for the creation and invention of the Marmon Automobiles. Perhaps his most celebrated achievement was the Marmon Wasp which won famously the first Indianapolis 500 race in 1911. In later life he purchased a substantial estate, Hemlock Hedges, in Pineola, North Carolina.